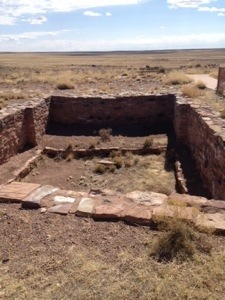 This is the remains of a kiva, a ceremonial room used by ancestors of the Hopi Indians. It’s part of a huge archeological dig in the park where we have been camping, Homolovi State Park. Homolovi means “place of the little hills.” The precursors of the Hopi occupied this area, near the Little Colorado River, off and on for thousands of years. The four pueblos uncovered here date from the 13th and 14th centuries. The largest, known as Homolovi II, comprises 2,000 rooms. The park was created to protect the sites, which are sacred to the Hopi and of considerable interest to archeologists. Before the park, the area was being looted by artifact hunters, and you can see several areas that were dug up by these miscreants. At one point it got so bad the looters were using a backhoe. In 2010 the park was closed by state budget problems but reopened a year later with support from the Hopi. It is now managed cooperatively by the Hopi and the state. If you’re ever in this part of Arizona, it’s worth a visit. Along with the archeological sites, it offers striking desert scenery, with mesas and mountains on the horizon. 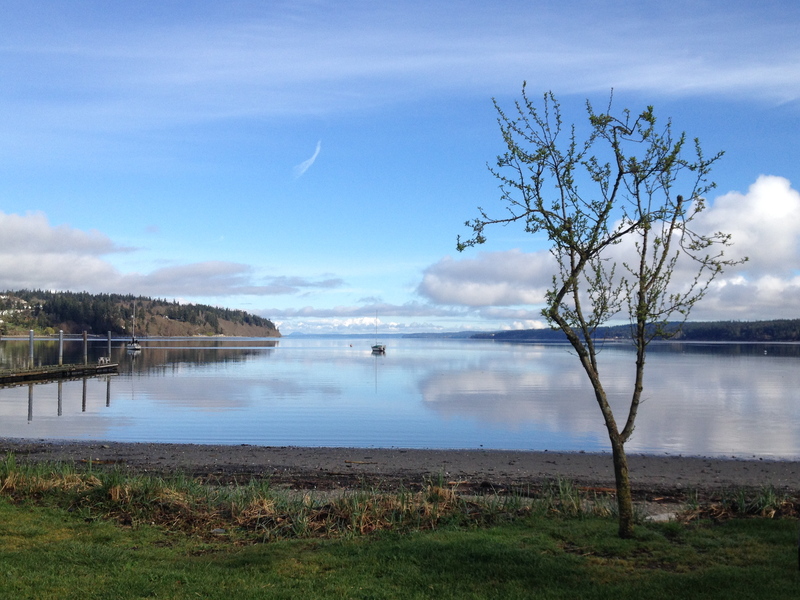 And the campground is nice too. Thanks for the earworm Dad! When I was last in Winslow, it was 1969. No one cared about the ancient remains much back then. The town was dirty and largely redneck. They’d get drunk & beat up the Indians & take their boots. Looks like a popular song helped turn that around.